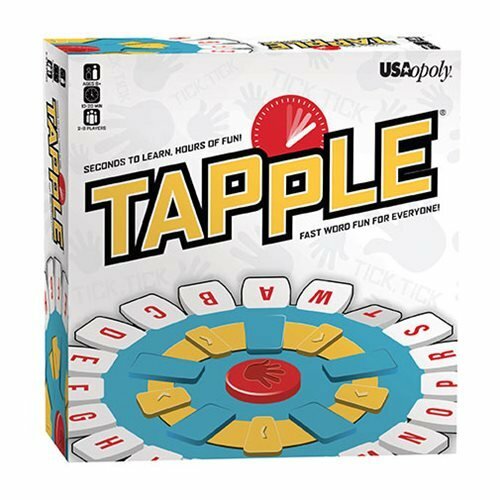 Easy to learn and quick to play with exciting, frantic, and fast-paced fun for all ages, it's the Tapple Board Game! 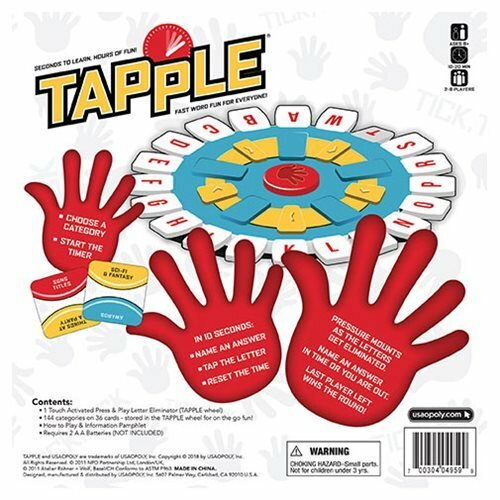 Choose a category card and star the timer on the Tapple wheel. 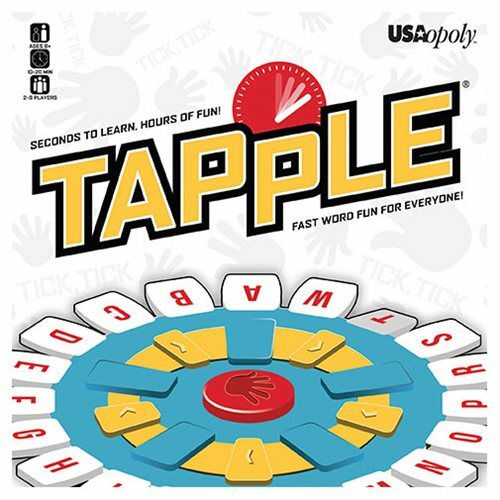 In just 10 seconds, name a word matching the category, press the first letter of that word on the wheel, tap the button to reset the timer, and pass it along. Letters already pressed may not be used again, so the pressure mounts! Can't think of a word in time and you're out for the round. The player that collects the most cards wins! 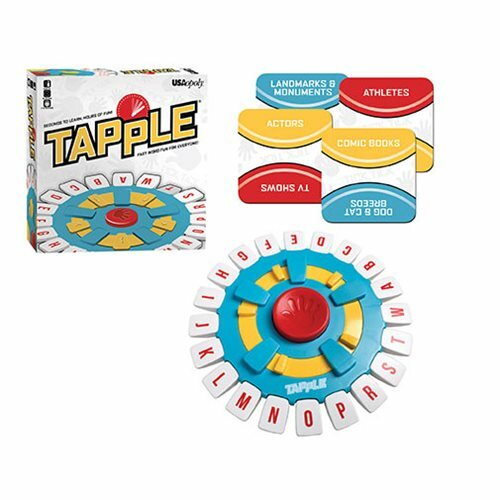 The Tapple Board Game includes the Tapple Wheel (with handy compartment to store cards, 36 category cards, and an instruction booklet. Includes 2x "AA" batteries. For 2 to 8 players. Ages 8 and up.